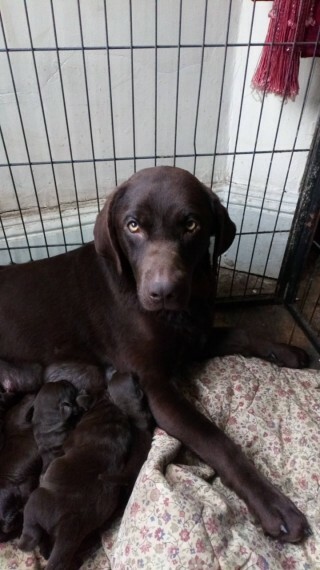 We have a litter of gorgeous chunky chocolate Labrador puppies for sale. Puppies have been bought up in a family home with children and other animals. Both parents are family pets and can be viewed. Dad had been hip. eye and elbow scored. Puppies will come K.C. registered. 5 weeks insurance. wormed. fled and microchipped.